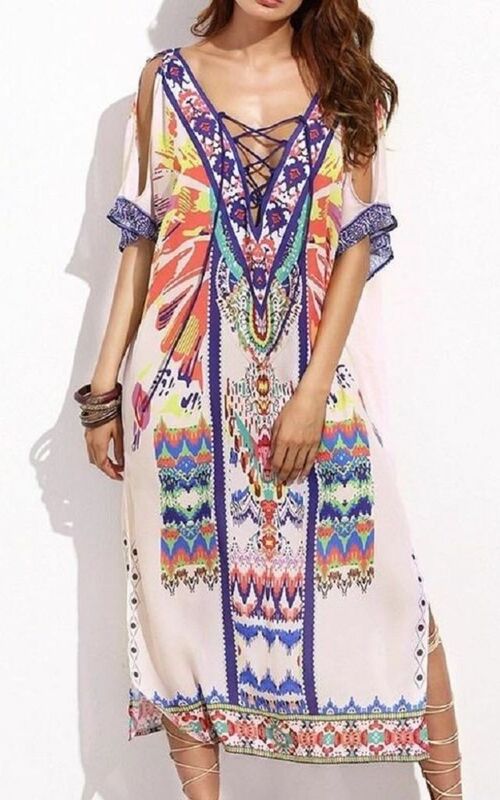 Fabulous maxi kaftan style cover up. With an eye catching multi colour designed print will be sure to make you stand out on the beach. Slits to both sides and lace up neckline and back. Boho style making this a holiday essential.